The Basics are another of our favourite local bands – and also rather unusual and hard to pin down. In this day and age of modern social media, they have no Facebook, no twitter, not even an entry on North West Bands – yet still they keep getting gigs on word of mouth alone – that must say something. In another change to the norm, the lead singer is actually the drummer – not something you see every day. 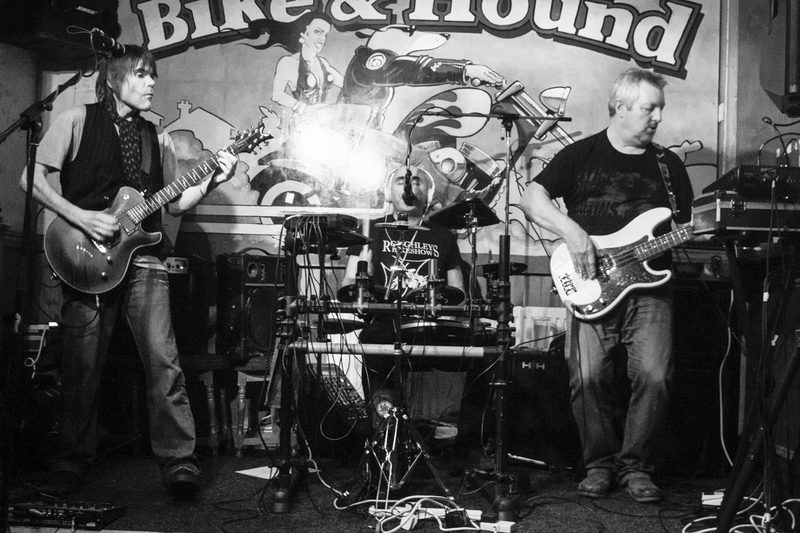 Music-wise they run the gamut of rock and blues playing all the classics that we know and love here at the Bike’N’Hound as well as a few extras and a few guilty pleasures to boot. They’re also very entertaining to watch – it’s always great to see a group of guys playing who clearly love what they do and dance about almost as much as the crowd they’re playing to! Definitely a band to catch if you can.